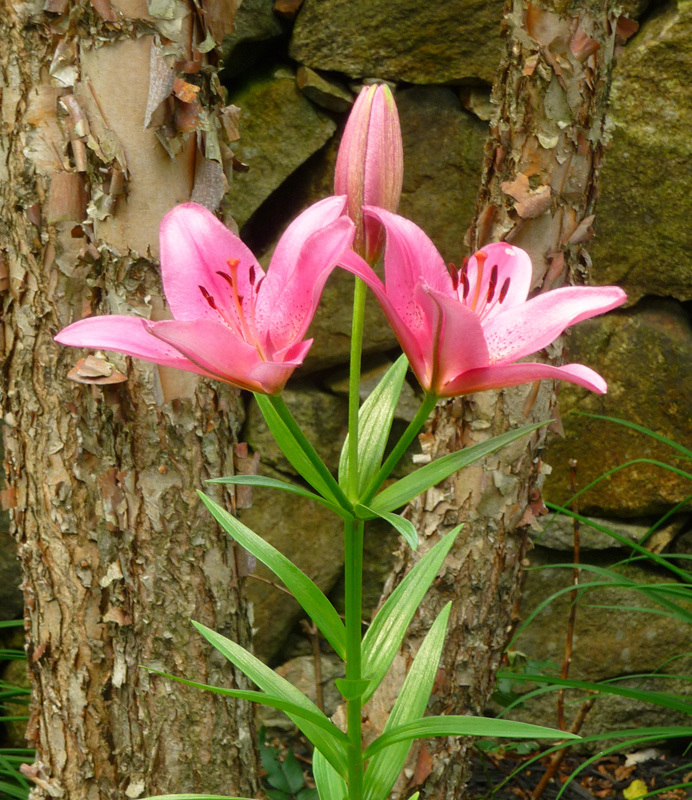 A pink lily blooms on Middle River Road. The tree in the background is a paper birch. .